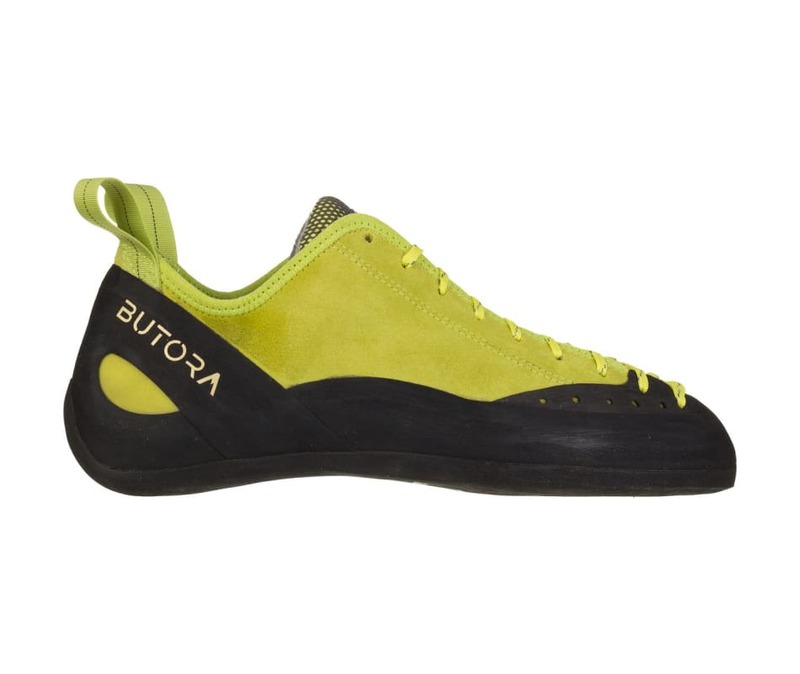 The Butora Mantra is Butora's take on the old school board lasted climbing shoe. Differing from the split last of our other offerings, the Mantra is board lasted, making it very stiff, and the ultimate tool for crack, off width and slab climbing. The Mantra is extraordinarily durable, and its supreme durability is matched equally by it's comfort. Being built from German leather that is lined with 100% organic hemp, it won't stretch out and feel sloppy later on down the road. The Poron open cell foam tongue and stiff last are guaranteed to keep you comfortable even in the most demanding toe jamming cracks.